A town whose very name bring grown men to tears. (That would be me.) The national media sort of latched on to “Sandy Hook” rather than “Newtown” in the first day or two after the tragedy, so both names get me. If you’re feeling particularly emotional today, you can read the piece I wrote about Newtown in 2012. Someone has to be the oldest, right? And why not Newtown? 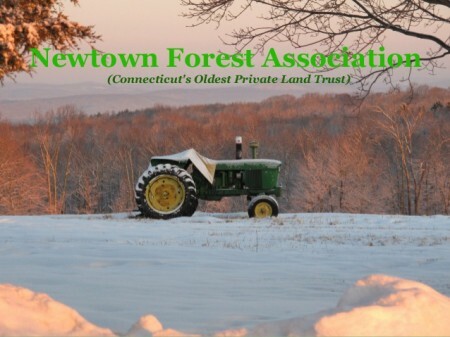 “The Association was started in 1924 when Dr. Howard Peck presented a gift of 7.2 acres of land to nine Newtown neighbors forming “Newtown Forester’s Association.” Additional lands added from concerned citizens formed the 15.5-acre “Newtown Town Forest”. 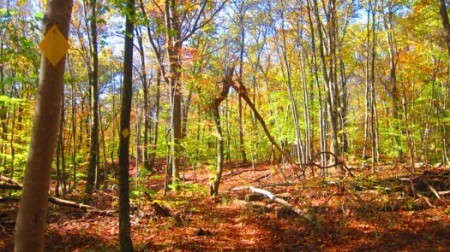 This is an example of how a land trust works to protect the character of the community by preserving scenic, historic, agricultural and recreational lands for the benefit of present and future generations. 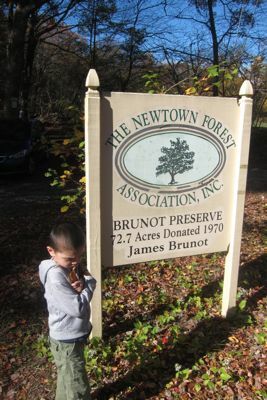 The NFA has grown from the initial 7.2 acres to its current holdings of more than 1,100 acres located in all districts of Newtown. Everyone in the world has heard of Newtown. Most Nutmeggers have probably driven through the center of town with its famous giant flag. But man, once you start heading away from the interstate, Newtown gets really woodsy really quickly. It is a town to easily get lost in – literally and figuratively. For some reason, the roads here seem to be more confusing than in most other towns around the state. (I guess it’s all part of the Bethel/Danbury/Newtown/Redding goal to trap people in their clutches though, as navigating the back roads between these towns is, quite simply, very difficult. Which is perhaps what I like most about Newtown and the NFA properties – getting “lost” in them.